Life Lenses: Eyjafjallajökull - I AM COMING. 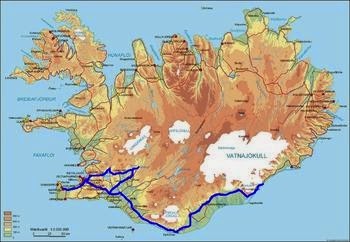 After perhaps years of yearning to go to Iceland, my family and I are finally going there at the end of June. I therefore subsequently set out to quickly consume as much of Wikipedia's Iceland page, as I could. That makes it about the population of Edinburgh. "Iceland's de facto official written and spoken language is Icelandic, a North Germanic language descended from Old Norse. In grammar and vocabulary, it has changed less from Old Norse than the other Nordic languages; Icelandic has preserved more verb and noun inflection, and has to a considerable extent developed new vocabulary based on native roots rather than borrowings from other languages. The puristic tendency in the development of Icelandic vocabulary is to a large degree a result of conscious language planning, in addition to centuries of isolation. Icelandic is the only living language to retain the use of the runic letter Þ in Latin script. The closest living relative of the Icelandic language is Faroese. English and Danish are compulsory subjects in the school curriculum. Both languages are widely understood and spoken. Other commonly spoken languages are Swedish, Norwegian, German and French. Danish is mostly spoken in a way largely comprehensible to Swedes and Norwegians—it is often referred to as skandinavíska (i. e. Scandinavian) in Iceland. Rather than using family names, as is the usual custom in most western nations, Icelanders carry patronymic/matronymic surnames, patronyms being far more commonly practiced. Patronymic last names are based on the first name of the father, while matronymic names are based on the first name of the mother. These follow the person's given name, e.g. Elísabet Jónsdóttir ("Elísabet, Jón's daughter" (Jón, being the father)) or Ólafur Katrínarson ("Ólafur, Katrín's son" (Katrín being the mother)). 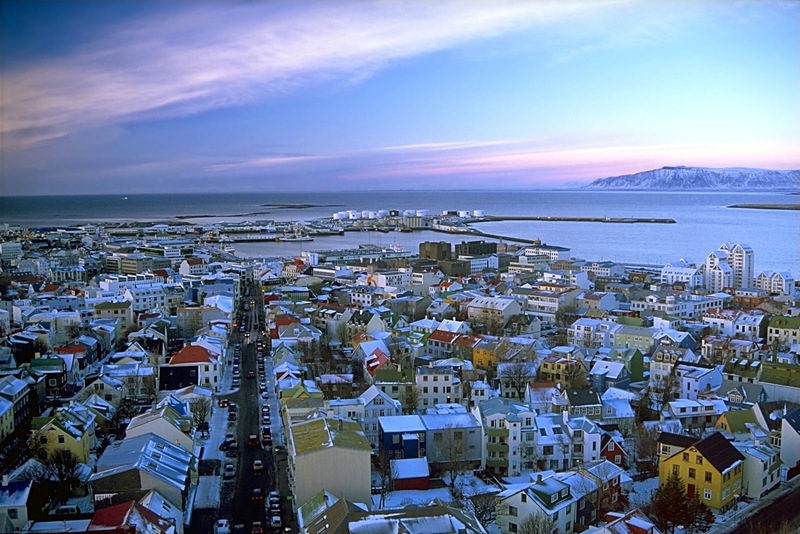 Consequently, Icelanders refer to one another by their given name, and the Icelandic telephone directory is listed alphabetically by first name rather than by surname." What a trip! Sounds incredible. Oooops sorry! Couldn't resist leaving a comment. Fascinating adventure. Speaking of adventures, I'm enjoying reading previous posts of yours, particularly regarding travel and life in the flatlands. Who am I kidding, I'm enjoying it all! Oh that is so so kind! Thank-you! It's mostly just ramblings! If you have anything that you think I could be doing better / anything that you are interested in about Dutch things - just let me know! (I am going to have a good stalk of your blog now ;) ) - oh and where in NL are you based at the moment? I am going back there soon!